Albuquerque Mayor Richard J. Berry recognized Reserve Officer Abel Bazan for his swift, heroic actions to save the life of a one-year old girl who was choking. On the evening of June 23, 2015, Reserve Officer Bazan and Officer S. McMillin were taking their dinner break from patrol at the Western View Diner. Inside the restaurant, Ms. Ortega, her daughter and her granddaughter were having a family dinner. Ms. Ortega began yelling for assistance when her one year-old granddaughter stopped breathing. Reserve Officer Bazan heard her cries for help and immediately ran over see if there was anything he could do. Upon arriving at the table, Reserve Officer Bazan quickly realized that the child was choking jumped into action. He grabbed the limp child, positioned her with her head lower than her body and began tapping her back repeatedly until a piece of soda cracker dislodged from the child’s windpipe and flew out of her mouth. The baby began breathing and crying after the obstruction was dislodged. Thankfully, no other medical attention was required and the child was able to go home with her family following the incident. Thanks to Reserve Officer Bazan’s training and ability to always stay alert, he was able to swiftly and calmly address a very stressful situation. 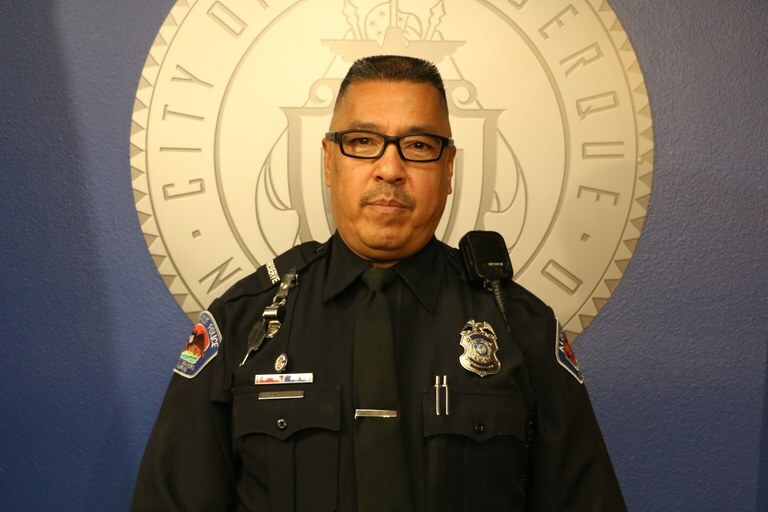 It is for his quick, lifesaving action that Reserve Officer Bazan was recognized as this week’s City of Albuquerque Friday’s Hero.